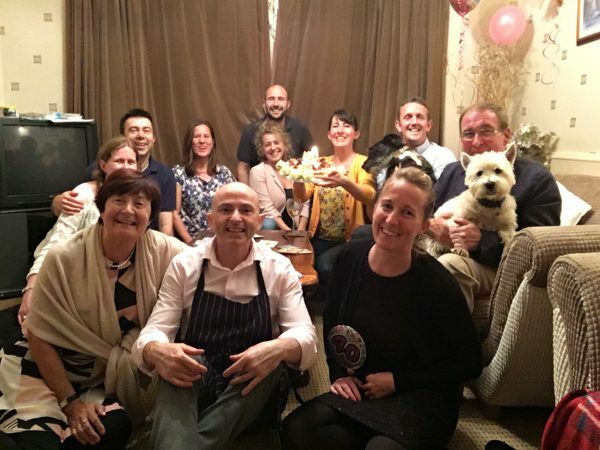 This happy birthday party has been made in Largs , Giuseppe travelled and served his tailored menu for the entire family,cocktails and canapes and then 5 courses meal . Giuseppe Private chef & catering company has tailored the menu based on theyr taste for homemade pasta to combine with some sort of mediterranean vegetables . 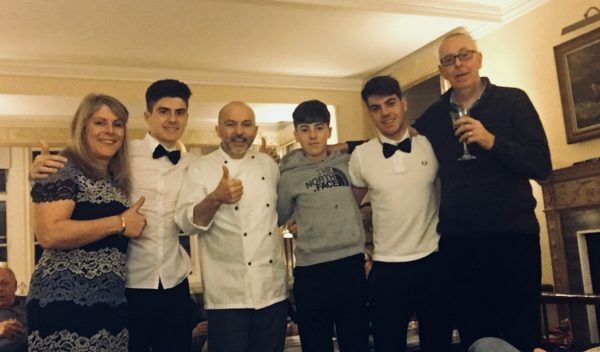 Book your private chef with confidence because when Giuseppe works in your private home or your venue for your party he is fully committed to make yourself very comfortable . As here in Largs or Glasgow the private dinner party has always one aim and is your happiness. This is one of the private dinner made for help to celebrate the 60th happy birthday of Peter.The entire group was made from 16 people . In this occasion, private chef service & bespoke catering required Giuseppe to serve canapes and the four courses meal. You can ask to get your Private Chef to cook for you any kind of food. Giuseppe personal chef Is here to help and for tailor the best offer for you.He is willing to travel and bring the first class restaurant experience directly to your venue.Giuseppe Brings the Fine Dining experience at home for you or any other sort of dining experience. For this event, Giuseppe has been driving for more than two hours. The menu was his Gold menu with canapes and a series of courses with the dessert including his famous ice-cream.